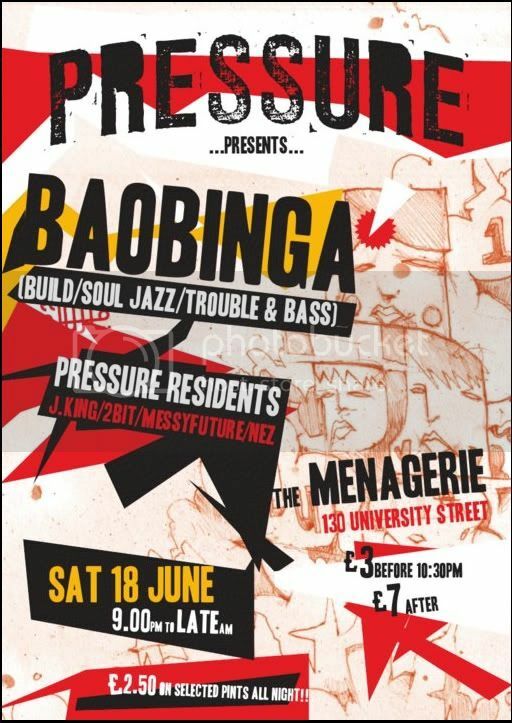 Launching his new album featuring, well, just about _everybody_ in forward-thinking bass music at the moment so we’re hosting a shindig featuring Baobinga, Nez, MassyFuture, J. King and of course myself (more liveset action). 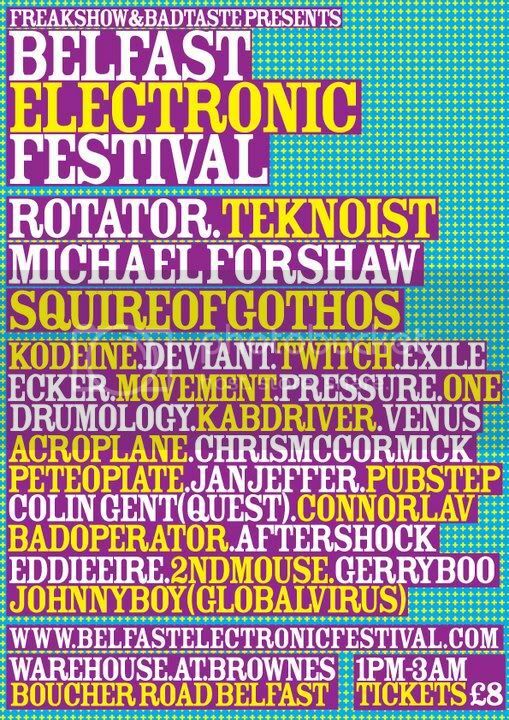 18/6/11 9PM onwards, £3 before 10:30 £7 after…so get there EARLY!!! Over the past few years All City have been responsible for putting out music from big international artists such as Rira / Captain Moonlight / Relevance / Exile Eye / Heralds Of Change[Hudson Mohawke & Mike Slott / Daedalus / Teebs / Computer Jay / House Shoes / Matthew David / Take / Samiyan / Ras G / Martyn / Krystle Klear / Sully / Onra / Tokimonsta / Om Unit / Knxwledge to name but a few so expect the best in up front electronic funk! Olan is the label head/shop owner/visionary(! ), expect diverse post-hop beats and futuristic sounds+ exclusives from upcoming releases. 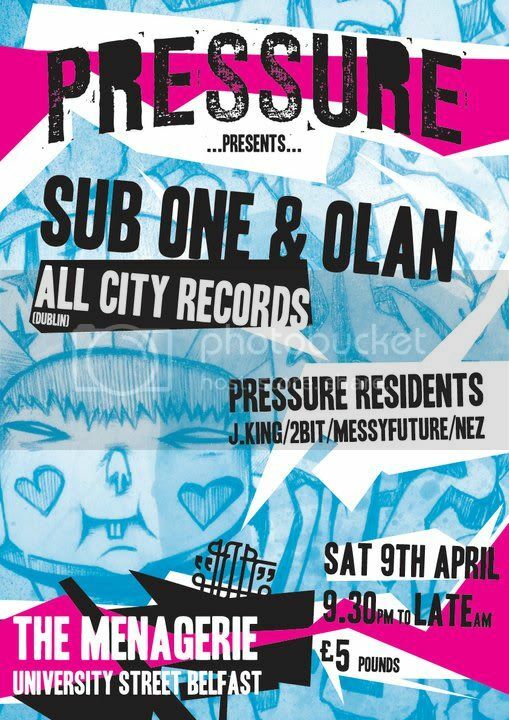 Sub One is the new school… bass-heavy selections spanning slo-mo house, tropical bass and dubstep. The ever wonderful Dodgy Stereo (AKA Barrys Electronic Workshop) did an incredible job of the visuals for our 1st birthday gig at the weekend…and he’s wrapped it all up into a nice wee video too! Rob Flynn drops a mix of Irish dubstep productions for the We Are Noise blog…including a brand spanking new 2BiT remix from Lady Grew’s new EP on Ghetto Quietly. 11. 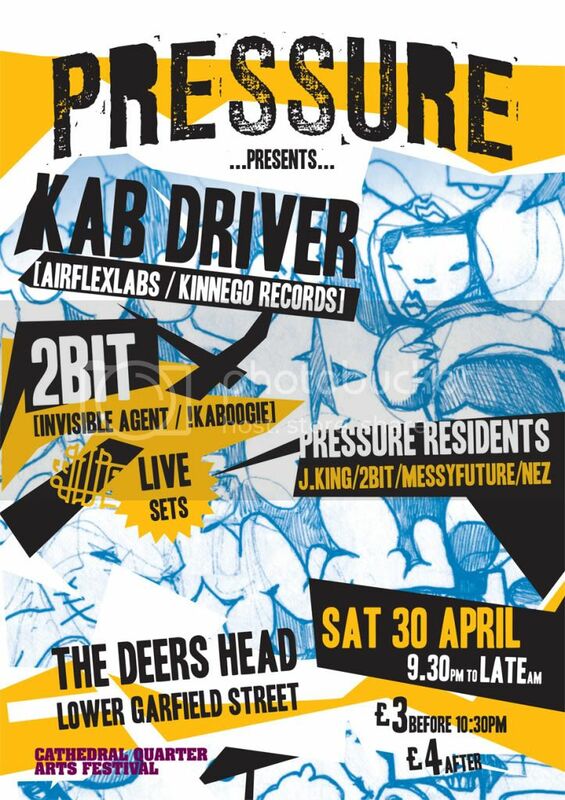 Kanobi – Zinc Inc.
Pressure are proud to present Plan B & Duplexhelix (Live set) + Noize Thievery (EP Launch). We’re going all hip hop for this one!! Plan B : Homespun / Antidote Portrush resident aka dj HamsterStyles aka DaddyLongLegs aka 6amAtlanticWallClimber. 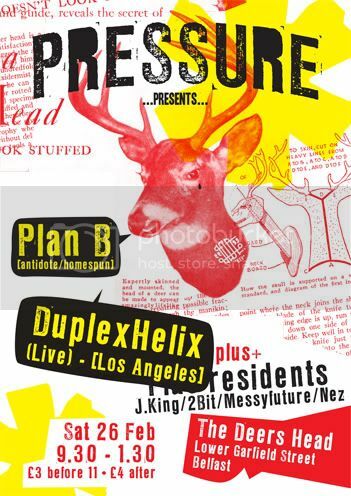 …Duplexhelix : Mexican expatriate, illegal California resident and recent Northern Ireland transplant. duplexhelix brings the Noise (literally) to the N&B and to the N-Hop. Added the swagger to the wonk for that Swonk. After dabbling many years as a Classical concert soloist, Jazz side-man, experimental instrumentalist, wedding band player, and diletante academic, he has finally embraced the four-on-the-floor and gave it the Swonk treatment. Sample Based Beat Maker from Belfast. 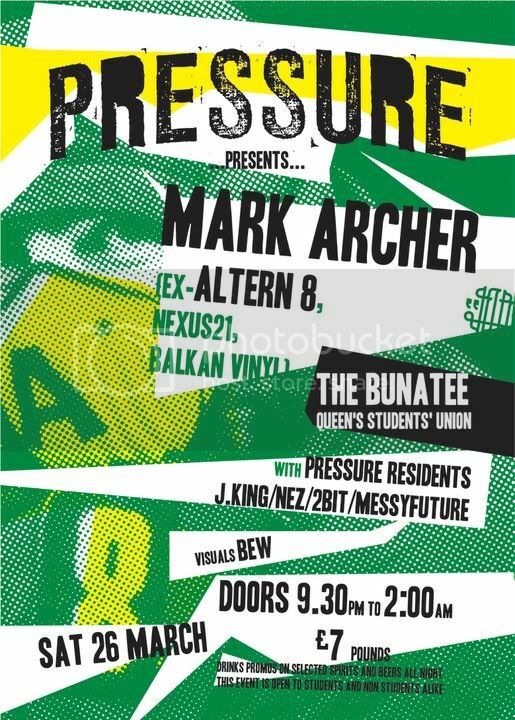 Pressure DJs John King and 2BiT representing at the Belfast Electronic Music Festival…think it’s gonna be afternoon styles for us so expect hiphop, low slung bassbeats and weirdness!